Silence, of a sort, has descended over the meeting of the cardinals in the lead-up to the Conclave. The American cardinals today canceled their scheduled press conference at the North American College — the NAC, as it is called, on the Janiculum Hill just above the Vatican. Cardinal Timothy Dolan of New York and Cardinal Francis George of Chicago had been scheduled to speak to journalists. We are now being told there will be no further press conferences until after the Conclave — the date of which has still not been set. Sister Mary Ann Walsh, Director of Media Relations of the United States Conference of Catholic Bishops, had organized quite unusual daily press conferences with two American cardinals each day in the College — and had provided exclusive access to American networks to some cardinals. These were the only press conferences any cardinals were giving, so they were attracting a lot of attention from journalists. Four Cardinals took part in the two press conferences that were held on Monday and Tuesday: Cardinals Donald Wuerl and Francis George on Monday, Cardinals Sean O’Malley and Daniel DiNardo on Tuesday — with Cardinal Dolan providing an exclusive interview to ABC News also on Tuesday. Today, the conferences and interviews were canceled. During his daily briefing today, Father Federico Lombardi, S.J., the spokesman of the Holy See, answered with what seemed some annoyance repeated questions from journalists about why the press conferences of the US cardinals had been canceled. “Ask them,” he said curtly. There are several strands to this story. It is complex. The American cardinals have been the “open” ones, holding press conferences — but the Italians are the ones who have actually been talking to journalists, privately, not for attribution. So, the Italian cardinals have been speaking in private — but their words fill the Italian press! The Americans have been speaking in public, saying nothing of real substance about the proceedings — and they are being asked to stop doing so! The Americans do seem a bit naive, holding press conferences with no real content in them, though the effort to provide some insight into what is happening in these days is to be applauded. So, there is no real drama surrounding the ending the conferences — they contained nothing anyway. They were not important. And it is true that the Conclave to elect a Pope, as well as the proceedings leading up to it, are “private” gatherings. So, to try to make it into something like an Iowa caucus, with press conferences and position statements — or to wish to do so — seems a case of cross-cultural lack of understanding and communication. For the moment, the decision to end all press conferences seems to be a sort of victory for the “old guard” of the Vatican (led by the Dean of the College, Cardinal Angelo Sodano). The “old guard” has seemingly gotten back the “upper hand” and restored order, and secrecy. But actually, the secrets will still come out — from the Italians. The problem is, the Americans are all extraordinarily respectful and honest when compared to the Italians. The Americans took an oath not to speak on the proceedings, and they intend to keep it… even when holding press conferences. The Italians took the same oath… but they never took it that seriously (at least some of them). In Italy, there is always a grey area, a space to maneuver. So where are we now? The cardinals must decide when to open the actual Conclave. They may vote on this soon. And then the cardinals must discern who among them — or even outside of the College — could be a worthy successor of Benedict XVI. The leading candidates right now — but this is all journalistic speculation — seem to be Odilo Scherer from Brazil (thought to be the candidate preferred by Cardinal Sodano), Angelo Scola from Milan (the Italian candidate thought to be most in keeping with the thought of Joseph Ratzinger), Marc Ouellet, the Canadian who is Prefect of the Congregation of Bishops, who is seen as extraordinarily balanced and who has few enemies, and Leonardo Sandri, the Argentine-born Prefect of the Congregation for Oriental Churches, who is also very close to Cardinal Sodano and so would represent a return to a pre-Ratzingerian line with regard to the purification of the Church and the Curia. Among the “outsiders,” the profiles of the three holy men are receiving quiet attention: the American Capuchin friar Sean O’Malley of Boston, who is seen as a holy man who speaks fluent Spanish and Portuguese, and so could represent both the First World and the Third World; Peter Erdo of Budapest, Hungary, who speaks fluent Russian, is an eminent canon lawyer, and has a photographic memory; and Malcolm Ranjith of Colombo, Sri Lanka, who was very close to Pope Benedict’s line, as a lover of the old liturgy, but is also “modern” and “active” and “strong” enough to have brought about peace between warring factions in a civil war between Tamils and Singhelese in Sri Lanka, making him a remarkable choice to represent the explosive Christian faith of the Third World. Another cardinal who would be in line with Joseph Ratzinger and would not represent a return to the traditional policies of the Roman Curia would be Cardinal Francis George of Chicago. 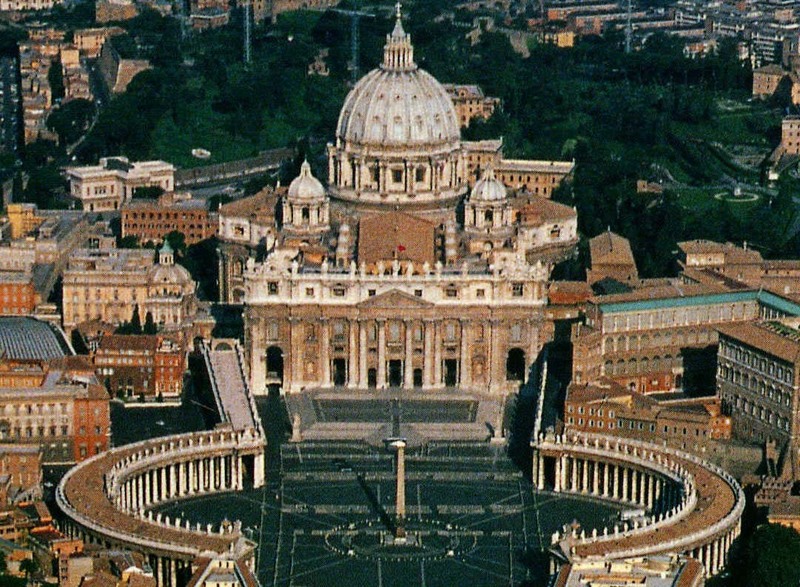 Our 2013 “Inside the Vatican” Pilgrimages are filling up fast. Join us!